Kyoto is undeniably one of Japan’s cultural meccas. Home to an incredibly rich history of traditional arts and culture, it can seem almost impossible to really immerse yourself in the city’s rich art community, but it is not. 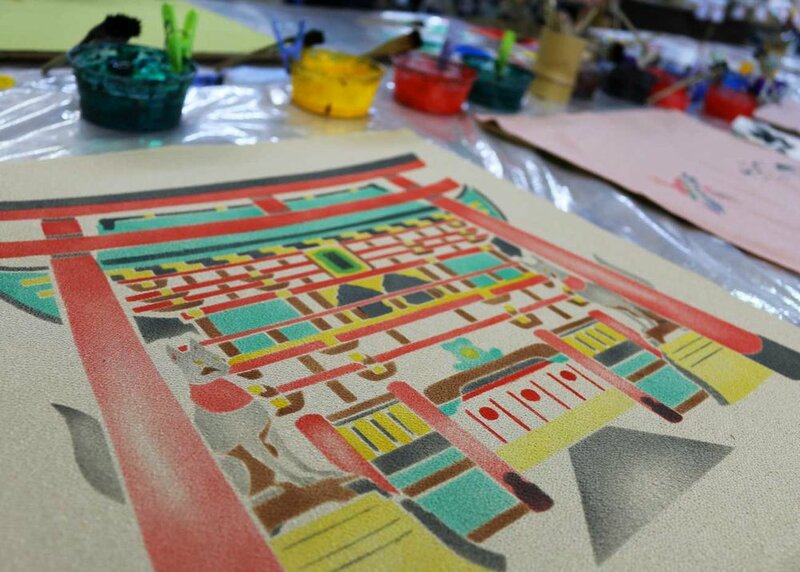 One of the best ways to really understand the history of this city and experience Japanese cultural traditions that were born here is to dive right in and sign up for a local workshop or two (and maybe a little tax-free shopping)! Whether you’re a dedicated creative or someone who hasn’t touched a paintbrush since 8th grade painting class there’s something for everyone. Expert locals and friendly guides can help you embrace your inner artist. So if you’re looking for some cultural experiences for your Kyoto itinerary, discover a new level of appreciation for Japanese culture with 10 of these fascinating and (English-) accessible activities. There are few experiences as quintessentially Japanese as taking part in a matcha tea ceremony. Participation can be a bit more complicated than simply drinking tea. In a formal ceremony, guests are expected to follow a certain set of procedures in order for everything to progress smoothly, and most importantly, to pay proper respect to the host. 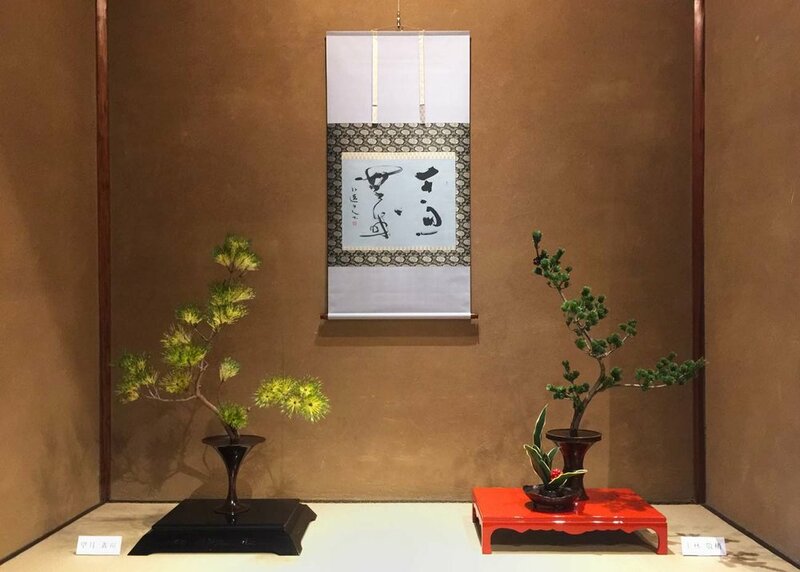 For those interested in joining a tea ceremony for the first time, a visit to Jinmatsuan is the perfect place to start. 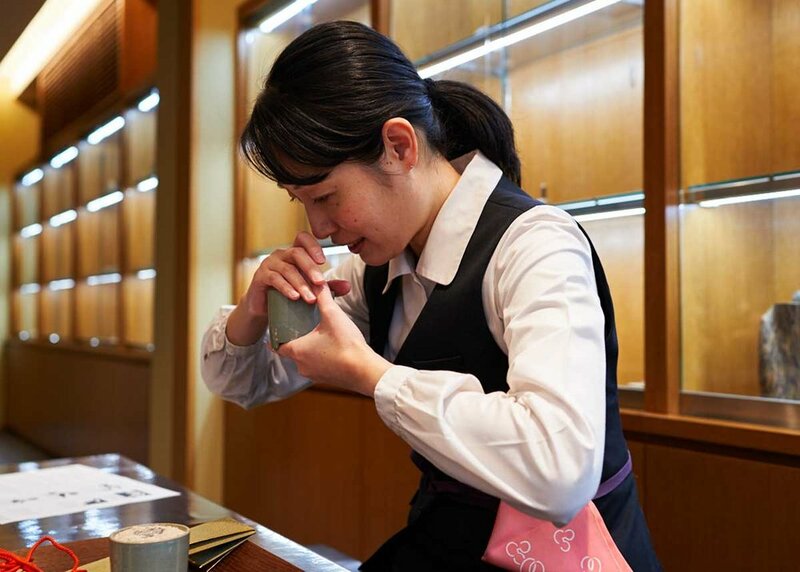 In this small cultural center, visitors can take part in every aspect of a matcha tea ceremony, all under the direction of an experienced tea master in a no-pressure environment. 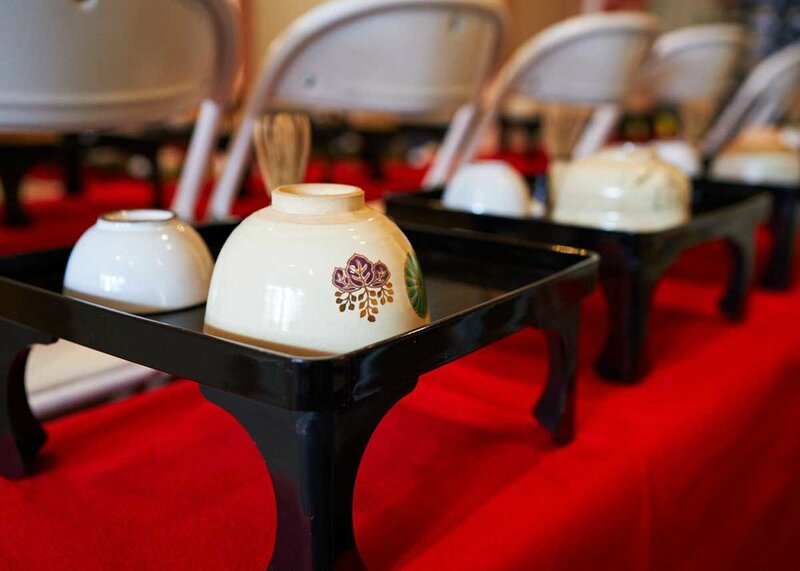 During the roughly 45 minute course, guests can get hands-on with not just the tea ceremony itself, but some of the lesser-experienced, behind the scenes work that goes into hosting a tea ceremony. First, participants will learn about ohigashi, a traditional Japanese sweet served alongside matcha to help balance its bitterness. Using an incredibly fine sugar known as wasanbon and wooden molds, guests will create their own ohigashi to be eaten later. 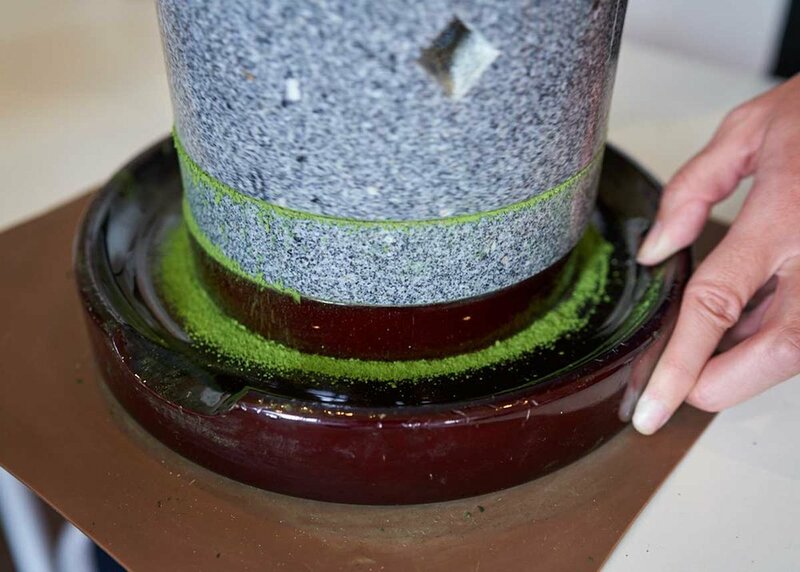 Next, participants can try their hand at making matcha, using a heavy granite wheel to grind tea leaves into a fine, bright green powder. 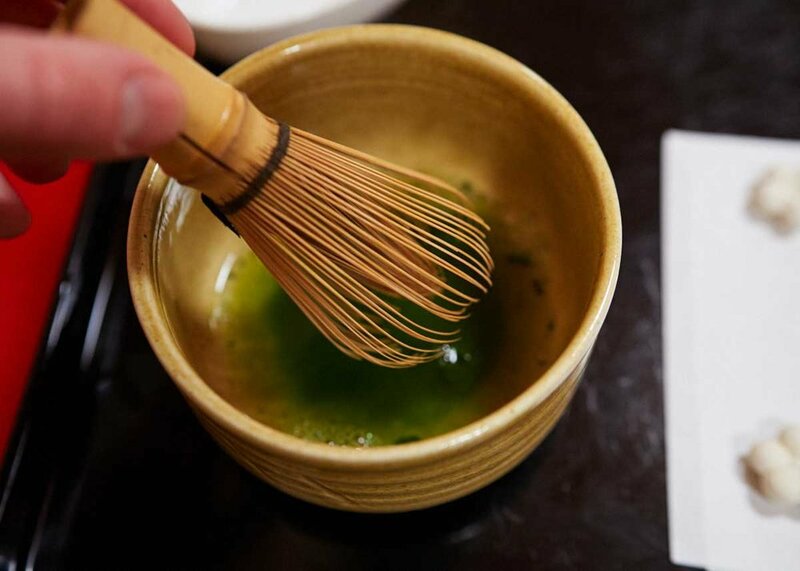 Once the matcha powder and ohigashi are ready, visitors are taken to a tatami mat room where the tea master will demonstrate the proper way to whisk matcha for a perfect frothy consistency. For a truly unforgettable time, guests can even book a matcha tea ceremony course with a Maiko, a young geisha in training. All in all, it is an educational and entertaining experience that should not be missed by anyone interested in learning more about Japanese culture. If you want to carry on your new-found passion at home, check out our recommendations for the Best Places to Buy Ceramics in Kyoto. Hours: Open 8:30am to 9:30pm. Reservations are not required, but are highly recommended. Transport: From Gojo Station, take Exit 1. It is approximately one minute away on foot. For many there is nothing more classically Japanese than Ikebana: the soothing and meticulously curated art of flower arranging. Also known as kado (華道 - the way of the flowers), the tradition of Japanese flower arrangement has religious roots. From as early as the 7th century floral offerings were in shrines, as plants play an important role in the nation’s native Shinto religion. More than just throwing some flowers together in a visually appealing way, Ikebana is all about developing a close appreciation of nature and finding the balance between human interaction and natural beauty. 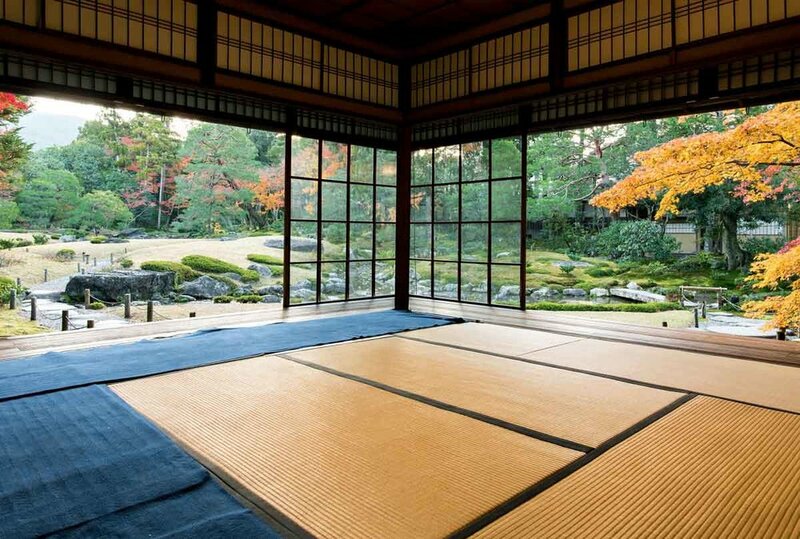 The classes at Ami Kyoto are some of the Japan’s most well respected, and highly reviewed. Open to foreign guests as well as locals, don’t worry if you have little knowledge of this historic art or Shinto religion as a whole; a few hours with the floral experts and you’ll be a little expert yourself. An Ikebana class here can be arranged for ¥5,000 ($45). For more information on Ikebana courses, visit Ami Kyoto. The practice of incense burning in Japan began approximately 1,400 years ago. Though not yet as prevalent in the west, it has slowly started to make its way into homes across the world as a part of meditation practice, or simply to freshen up a room. For those who are interested in incense but find they are overwhelmed by the tidal wave of scents that hit you when entering a shop, Yamada-Matsu in Kyoto is a must-visit. Here, visitors can take part in a traditional practice known as Monko, or incense listening, to learn how to distinguish the subtle differences that exist between the many varieties of incense. During the roughly one hour experience, visitors will be guided by a skilled expert as they demonstrate the proper techniques involved in preparing and appreciating the incense. 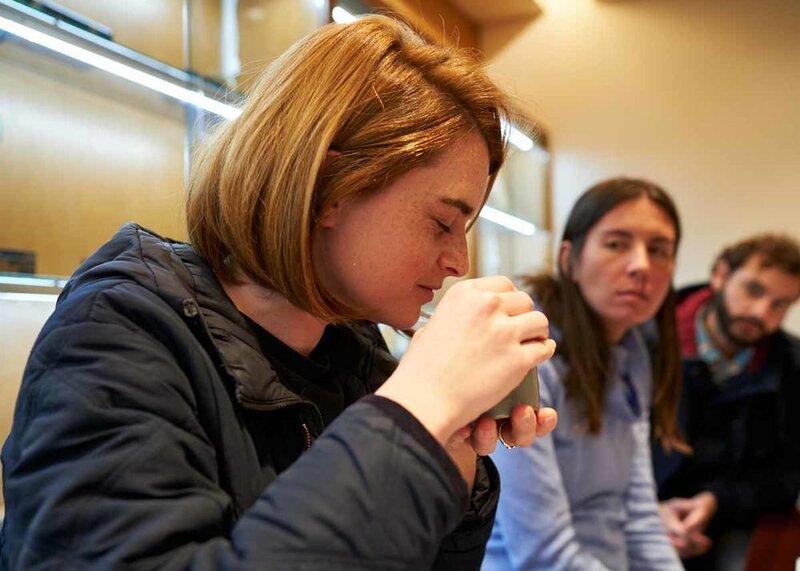 Guests are asked to put their sense of smell to the test. Between three and five incense censers are passed among the participants. During the experience, a game is played where each person votes whether they think each incense presented was different, or if there was a duplicate in the group. It’s during this time that the name incense listening starts to make sense. Simply smelling something is like looking at a one dimensional image. But as you sit there, deeply inhaling and analyzing the fragrant smoke, earthy notes of spice or citrus begin to take shape: the story of that particular incense being told. 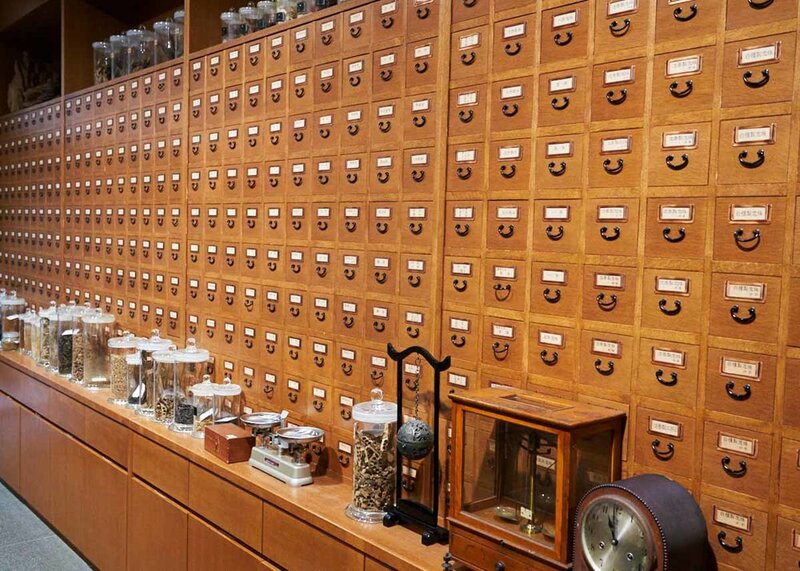 Once you’ve honed your sense of smell, you will be fully prepared to find your perfect variety of of incense in their tax-free shop to enjoy at home later. Hours: Open every day from 10am to 5:30pm. Transport: From Kyoto Station, take the Karasuma subway line from to Marutamachi station. Japanese calligraphy, also known as shodo (書道) or shuji (習字), is an incredibly expressive artform that has been cultivated in Japan since the introduction of writing. 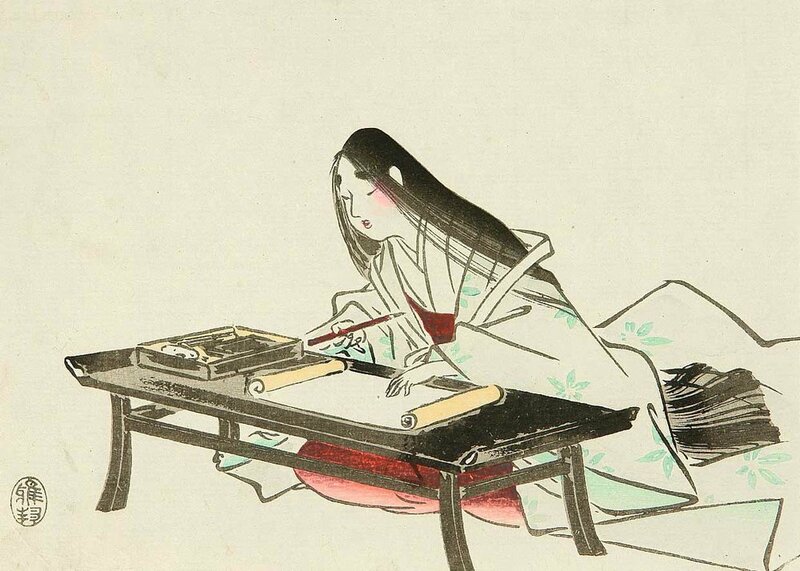 Like Japanese writing itself, calligraphy has its roots in Chinese culture. However, the invention of Hiragana and Katakana led the art of calligraphy down its own path, and it is now considered as authentically Japanese as sushi. At Calligraphy Kyoto both beginners and slightly more experienced guests are invited to take park in a variety of different course. The cheapest and shortest lesson is the one hour beginner’s calligraphy class which costs ¥5,500 (US $50) and includes quality board and mount, and classic Japanese letter paper. Here you can learn the absolute the basics of calligraphy and create a character in your own language using makigami (rolled up) letter paper. For the more ambitious, a 10 hour license acquisition calligraphy course is also available for ¥75,000 ($665). Hours: Reservation required, check the website for details. While not as well known as sake, another popular Japanese alcohol, umeshu, tends to have a much wider appeal. Made with just unripe ume (a fruit similar to plum), sugar and alcohol, this simple drink has a tart but delicate taste that even the most casual drinker can enjoy. Rather than simply buying a bottle, visitors to the Choya specialty shop can make their own to take home. 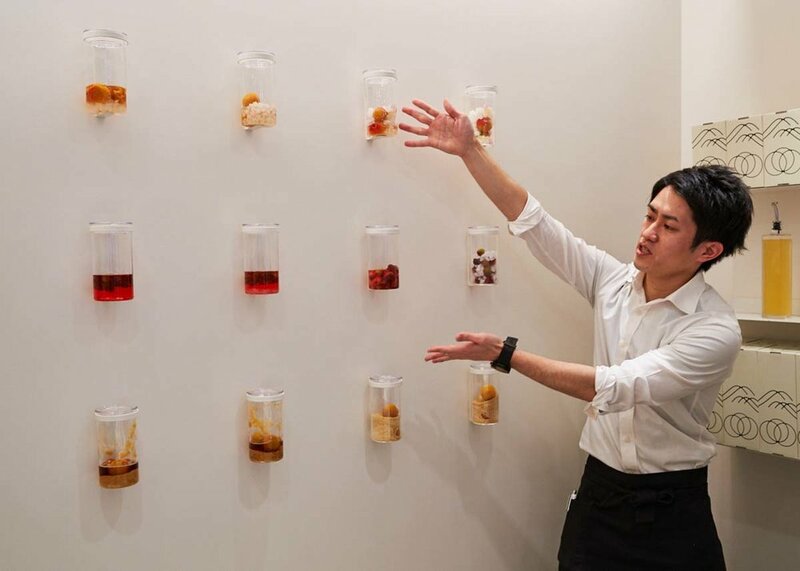 In their brightly lit and modern shop, glass jars line the wall, serving as dioramas for each step of the umeshu making process. With a selection of varied ume and sugars to choose from, knowledgeable staff members walk visitors through a taste test of each available option. 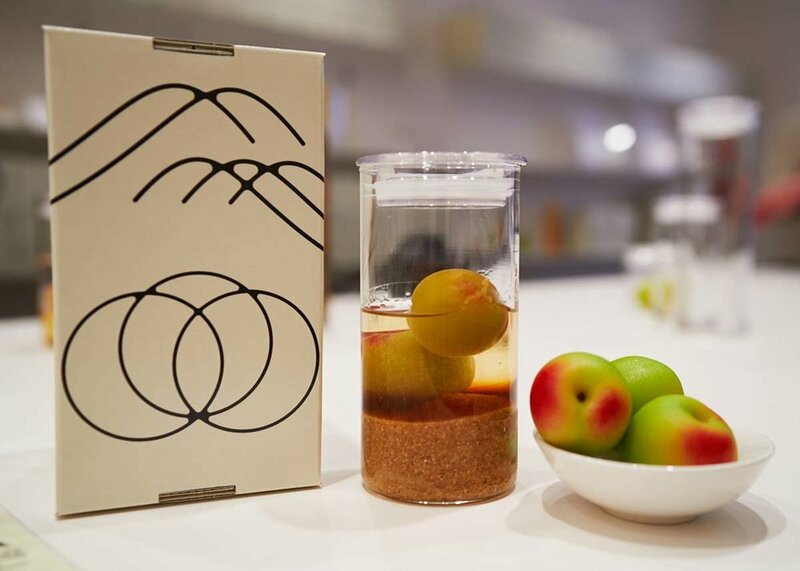 Once you’ve selected your ingredients, you can choose to top it off with an alcohol of your choosing to make it proper umeshu, or for a non-alcoholic version, water, which will result in a delicious ume syrup you can use for a variety of culinary purposes. No matter your choice, it’s important to note that while you can take your creation home that same day, it won’t be ready to drink immediately. The ume need time to ferment in the sugary mixture, a process which the Choya staff affectionately compare to caring for a pet. The wait may seem difficult, but in one month’s time, you will have a delicious reminder of your time in Kyoto. Hours: Open 11am to 7pm. Reservations are required in advance. Transport: From Kyoto Station, take the Karasuma Line to Karasuma Oike Station. From here, the shop is approximately ten minutes away on foot. From its white-walled exterior with an imposing, two-story western-style home looming overhead, Murin-an Garden feels more like a fortress than a place of tranquility to the casual passerby. Walk the cobblestone path leading under its wooden entryway however, and you will soon find yourself transported to a seemingly endless, serene landscape. The garden feels impossibly large as you enter; an intentional design characteristic utilizing the distant Higashiyama mountains as its focus point. This clever trick of perspective makes the space feel truly borderless. From its northernmost corner, a small waterfall runs off into a stream which snakes its way throughout the entirety of the garden. While water is a common feature of Japanese gardens, it is typically in the form of a pond. Murin-an is fairly unique in that it utilizes flowing water from nearby Lake Biwa, Japan’s largest lake, to create an uninterrupted channel passing through the landscape. From the Japanese-style home that now serves as the garden’s cafe, freshly prepared matcha and Japanese sweets known as wagashi can be enjoyed to the soothing sounds of gently flowing water. Murin-an was created in 1894 by master gardener Ogawa Jihei VII, as the private villa of Yamagata Aritomo, a prominent Japanese statesman of the Meiji Period. During a guided tour of the grounds, knowledgeable garden concierges walk visitors through the intricate details of Murin-an’s history and what sets it apart from other such gardens. From carefully planned touches such as the planting of fir trees – a rare sight in traditional Japanese gardens – to incidental happenings like the growth of over fifty varieties of moss throughout the grounds, every aspect has come together to create a truly harmonious end result. 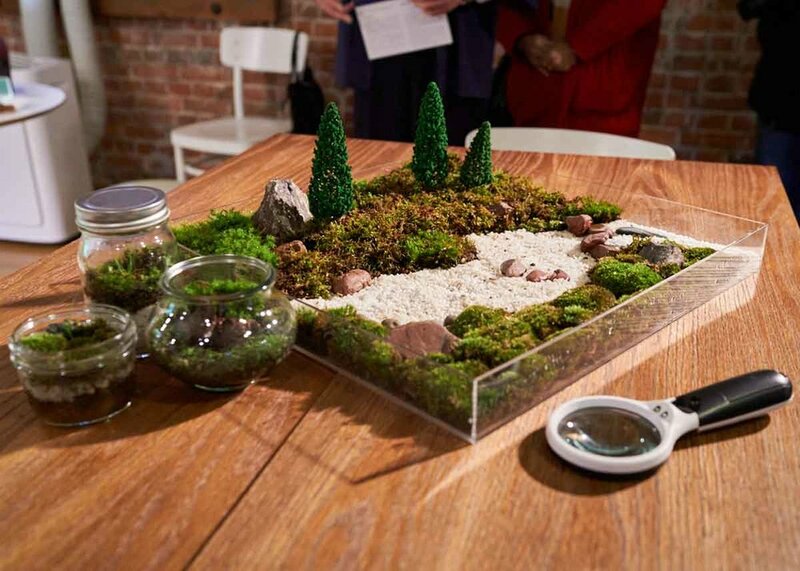 On Saturdays, visitors can also take part in a guided miniature Japanese garden making course, using moss and stones to create a replica of Murin-an or a unique garden of their own design. You can also learn more about Japanese garden design in our guide here. 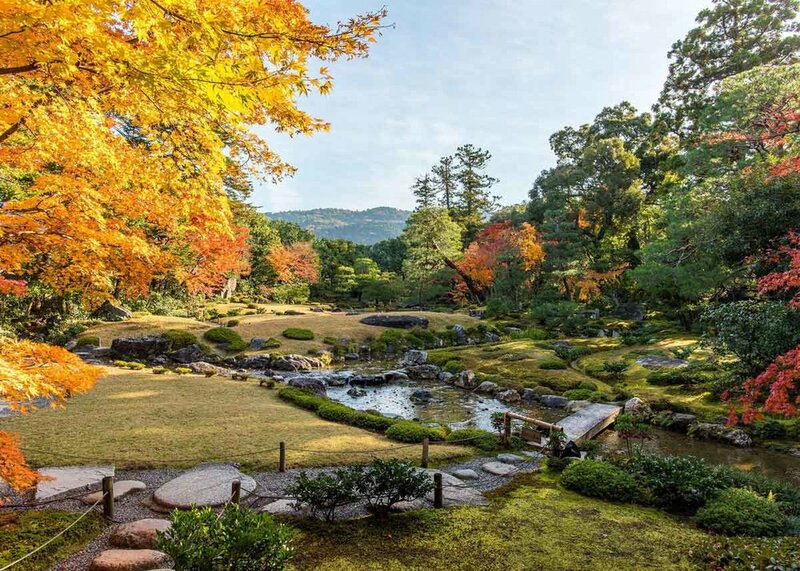 Murin-an is the only garden villa in the area to be open to the public year-round, so no matter in which season you choose to visit Kyoto, be sure to make it part of your itinerary. Hours: Hours vary by season, so please see their website for details. Transport: Take the Kyoto Okazaki bus line to “Nanzenji, Biwako Canal Memorial Hall, Kyoto City Zoo Higashimon-mae”. From here, the garden is just one minute away on foot. For one of the more unique cultural activities in Kyoto, those with an interest in textiles might be eager to explore the world of roketsu: one of Kyoto's traditional textile dyeing methods. In these Japanese textile workshops you will learn about the technique also known as wax-resist dyeing. It begins with the application of wax on a cotton fabric to create the desired design. When the fabric is dyed in the deep natural indigo dye, the pattern concealed beneath the wax stays white. Like a reverse stencil cross with tie-dye! Kyoto’s Roketsu Dyeing Studio is officially the only place in Japan where visitors can experience the entire dyeing process for themselves. Bear in mind, this class isn't for the easily distracted: Roketsu dyeing involves around 20 steps! The courses typically take from one to two hours, and prices start from $20 depending on the size of fabric you want to use. Once you've taken part in this unique Japanese cultural experience, check out our guide for art lovers to help plan your Kyoto itinerary. Hours: 10am to 6pm, closed on Wednesday. Spend even a short time flicking through Japanese art books and you’ll stumble ukiyo-e. Flourishing during 17th through the 19th centuries, this vibrantly colored, bold lined artform looks like the early stages of the nation’s manga obsession! Carved woodblocks were used to produce these prints covering many aspects of Japanese culture, from kabuki actors and sumo wrestlers to flora and fauna, and even erotica. 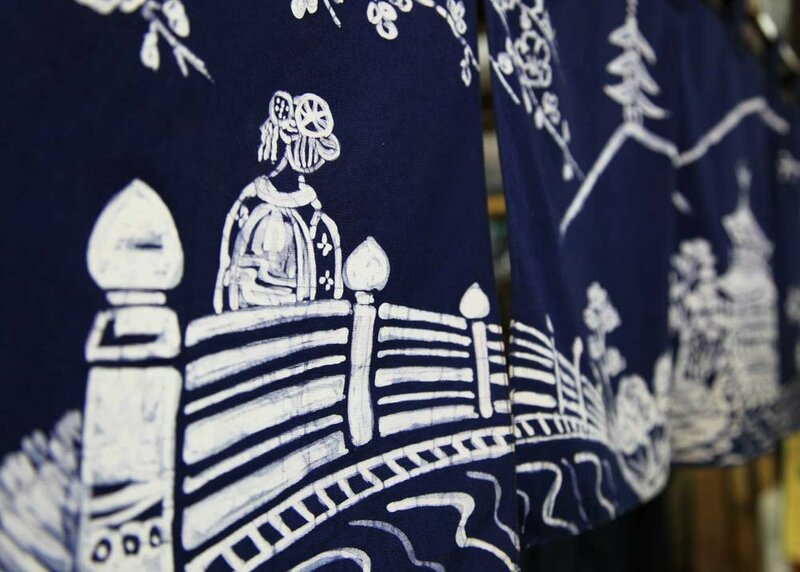 The Kyoto Handicraft Center offer Japanese handicraft courses in a variety of traditional crafts, among them woodblock printing, for the price of ¥1950 ($17). Follow the age-old techniques of ukiyo-e and create your own bold and beautiful incarnations of two popular motifs: Heian Shrine and Maiko. There are few fabrics capable of invoking such tactile nostalgia as that of canvas. Soft to the touch yet durable, it is a material made to last for years and to weather the experiences that come with them. Ichizawa Shinzaburo Hanpu in Kyoto is a fourth-generation family-owned shop that has been handcrafting canvas bags since 1905. Originally created as tool bags for manual laborers, their product lineup has since grown to include backpacks, pen cases, hats and more. 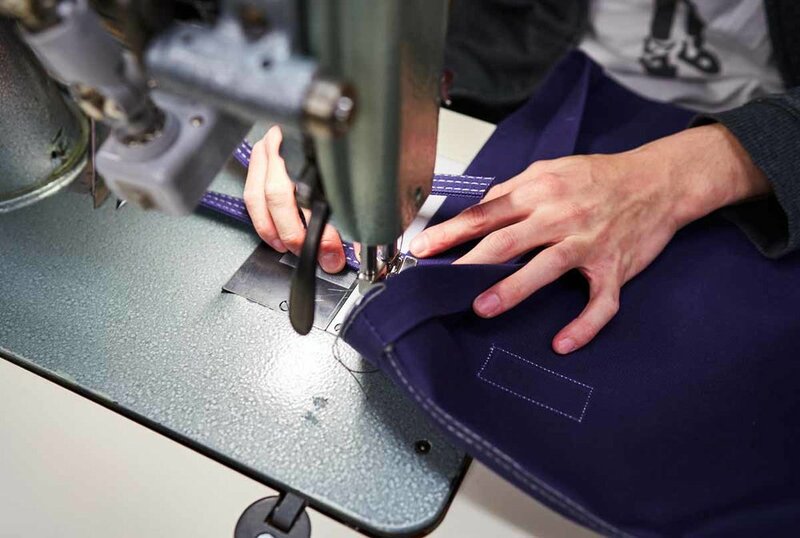 Despite the shop’s rapidly growing reputation, Ichizawa Shinzaburo Hanpu canvas bags can only be purchased from their single location in Kyoto. While this may seem unusual in a time where online shopping has become the norm, it comes with good reason. 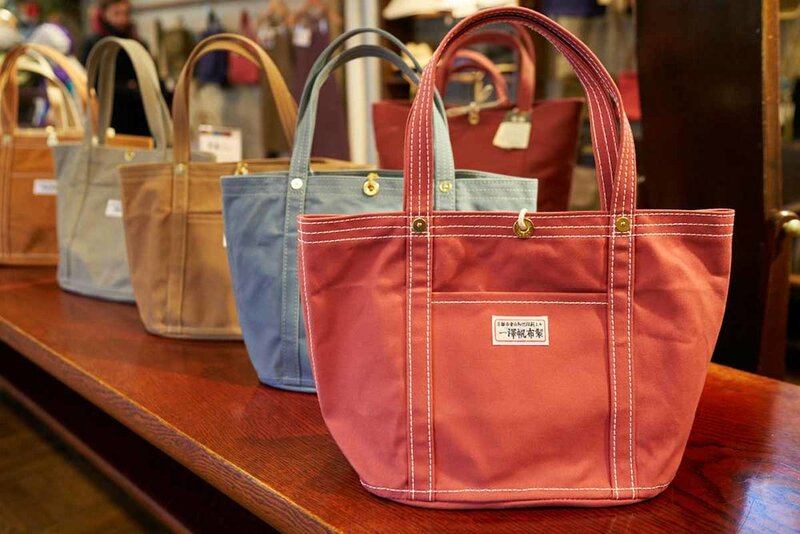 According to the current company head, Ichizawa Shinzaburo, since each bag they produce is handmade and therefore unique, they should be touched and tried on before purchasing in order to find the one that is truly perfect for each customer. The sentiment is echoed in the store’s repair service, which routinely sees bags come back more than fifty years after they were sold, needing to be mended after having been passed down through several family members. In this sense, they are more like family heirlooms than mere backpacks. To this day, many of the shop’s original designs can still be spotted in use around the city; a timeless testament to their quality. Hours: Open 9am to 6pm. The store is typically closed on Tuesdays, but check the website for specific details. Transport: From Kyoto Station, take bus number 206 bound for Kitaoji bus terminal until you reach Chionin-mae bus stop. If you’ve already tried your hand at roketsu dyeing and woodblock painting then why not combine your two newly discovered loves in Yuzen Dyeing, which is painting on fabric. This art form came to mainstream appreciation during the 17th century with hand painted designs on silk fans and kimonos. Classes at Marumasu-Nishimuraya bring this long-loved art to the 21st century, applying the technique to modern day items like purses, clutches and glasses covers. Prices for these Yuzen courses range from $15-65 depending on what you wish to paint. A store as well as a workshop, Marumasu-Nishimuraya is the perfect place to pick up a unique Japanese gift or of course even better create your own. If you want to learn more about Yuzen, check out these 5 Things You Should Know About Yuzen Kimono. Transport: From Kyoto Station, take the Karasuma Line to Karasuma Oike Station. From here, the shop is approximately seven minutes away on foot. Have you joined any of these craft workshops? Do you have some ideas for other one-of-a-kind Japanese cultural experiences for your Kyoto itinerary? Let us know in the comments below!